Las Mercedes Health Center: Now Open! In June of 2011, we broke ground on the Las Mercedes Health Center. After completing construction in the fall of 2012, we waited patiently for resources to arrive from the Ministry of Health in order to equip and staff the health center. For almost two years, the building just sat empty reminding everyone in the community just how forgotten Las Mercedes had become. At times, the wait was painful. We pestered every person we possibly could from the Mayor of Huaquillas to the Vice Minister of Health to the seemingly endless stream of regional health directors that were here one day and gone another. We were almost always frustrated and sometimes we simply felt defeated. 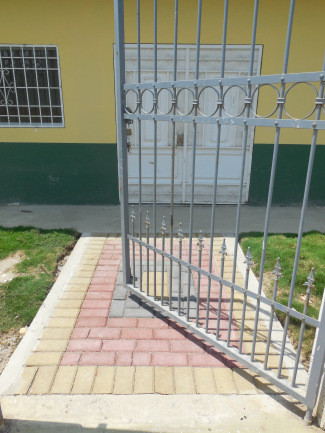 But we never gave up and this past week our dream finally came true as the doors of the Las Mercedes Health Center were opened by the Ministry of Health! Together, in solidarity, we were able to turn a simple idea into a reality. Several years ago, we set out to solve the infectious disease problem in Las Mercedes. The building of a fully functioning health center was a key element of our plan.But, we still have work to do.With the health center up and running, the final piece of the puzzle will be put in place this summer through the installation of a fully functioning sewage system in collaboration with Engineers without Borders, the Mayor’s office, and the residents of Las Mercedes. To complete this project, we need your help. We need to raise $20,000 before May 1st, 2014 in order to purchase the materials for the sewage project and to reach our goal we still need a little more than $6,000. Please help us reach our goal by making a donation. Donating is easy, simply click on the link. Just like the donations for the health center, every single dollar goes directly to the sewage project since we are 100% volunteer-based organization. Thank you for your continued support and enjoy the pictures! The Mayor’s office, in collaboration with the local residents, recently completed the beautiful brick entrance to the health center. The front of the health center looks great but we still need to replace the tree that a goat ate a while back. A few workers from the Ministry of Health setting up information boards at the front entrance of the health center. A well stocked pharmacy thanks to the Ministry of Health! The medical personnel from the Ministry of Health setting up one of the consultation rooms. 2 Comments on "Las Mercedes Health Center: Now Open!" This is beautiful! Felicitaciones! Where is Las Mercedes?